A color consultant has a wealth of knowledge to help you choose the best interior colors for your Elkridge home. If you’ve ever had a room in your house that just doesn’t feel right and you can’t figure out just what the problem is, or bought the perfect paint color only to have it not live up to your expectations on your wall, you could benefit from the help of a color consultant. Color is the most important visible element of design, and it can be different to choose the right one with so many options out there. A color consultant can take the guess work out of interior design and help you get the perfect results for your Elkridge home. Avoid mistakes and having to repaint a room when it doesn’t suit your tastes and needs. 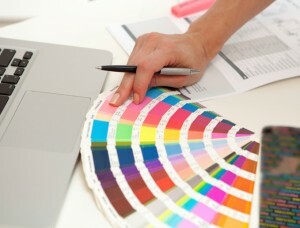 The input of a color consultant can help you achieve effective results the first time. They know what colors are in and out and are knowledgeable about the best products in the market. Whether you plan to paint yourself or hire a professional, starting every project with expert advice and guidance will ensure it’s done right. Whether your tastes are trendy, traditional, or quirky, a color consultant takes that into account to create a color palette that will work for you and your needs. They take the room’s walls, trim, ceiling, shape, and other architectural features into consideration to create something effortlessly complimentary. Everything from undertones, to the psychology of color, to lighting comes into play when choosing the perfect colors for your home. While the subtleties of different color tones and the complexities of how color and psychology come together may be a lot to think about, an expert color consultant knows all of this and more. They can apply their knowledge toward making your home beautiful. They know how to achieve harmonious color flow that takes space, psychology, color trends and lighting into account. Do you need some great Benjamin Moore paint to get started on your painting projects in Elkridge this fall? Columbia Paint Company is your one-stop shop for all of your home-decorating needs. From fabulous Hunter Douglass window treatments to beautiful Benjamin Moore paint products, we have everything you need to make your dream home design a reality. Schedule an appointment with one of our design consultants today! Don’t forget to check us out on Facebook, Twitter, Pinterest, and Google+ for more updates, information, and tips from us!